The 2019 Chevrolet Spark is a 4 passenger Automatic or Manual transmission, 4-door Sub-Compact Passenger Car. It is available in 3 trim packages, the ACTIV, LS, and LT. The new Chevrolet Spark invoice price ranges from $12,784 to $17,135, while MSRP ranges from $13,220 to $17,720. 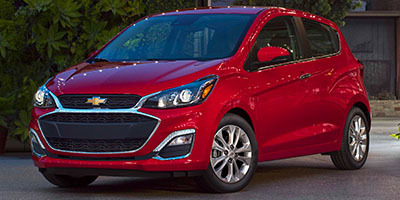 The 2019 Chevrolet Spark is available in 10 exterior colors, Caribbean Blue Metallic, Mosaic Black, Nightfall Grey, Orange Burst Metallic, Passion Fruit, Raspberry, Red Hot, Silver Ice Metallic, Summit White, and Toasted Marshmallow, and 4 interior colors, Jet Black, Jet Black/Caribbean Blue, Jet Black/Dark Anderson Silver Metallic, and Jet Black/Orange Burst.